I designed and carried out a propagation test in 2006 for different radios that the Police Department was purchasing for its volunteers. 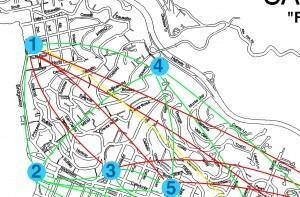 We tested the ability to communicate between eight locations in town using three different radio technologies. 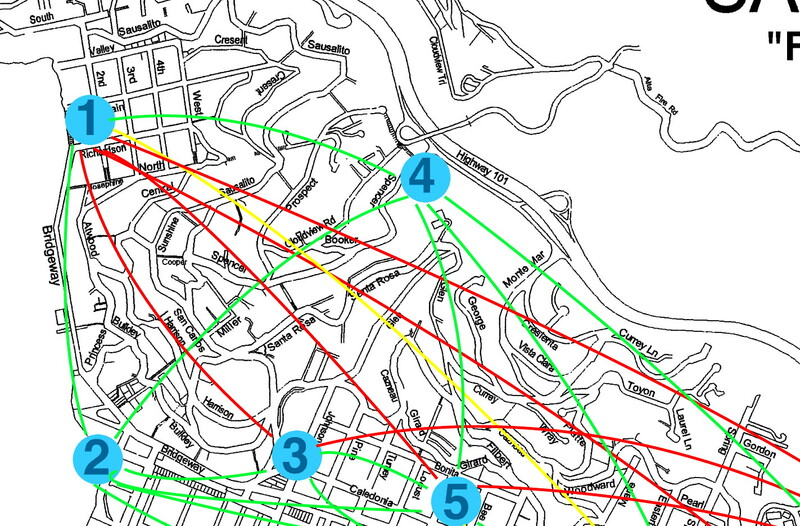 The results were that UHF (Business Band) was by far the superior technology for Sausalito’s undulating terrain. Obviously, if we had the money for a repeater system (like MERA), this would have changed the results immensely. The system was purchased and used for several years.